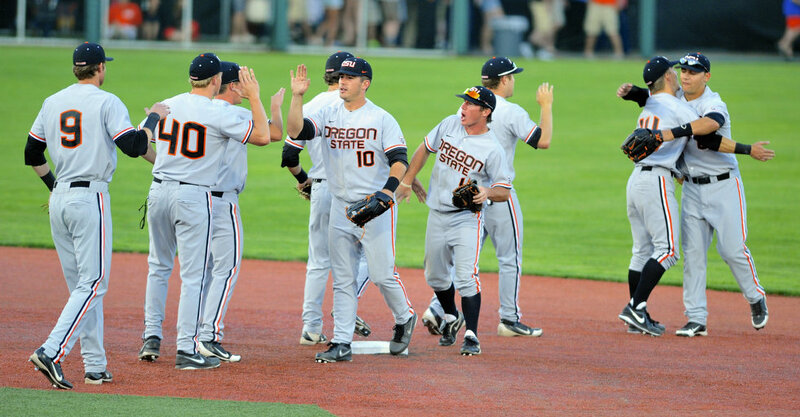 It was another fine season for Oregon State Baseball in 2013. The Beavers made their first College World Series since 2007, when they won their second of back-to-back national championships, reaching the semi-finals and finishing the season ranked number four in the nation. With first team All-Americans Michael Conforto and Andrew Moore both returning in 2014 big things are expected out of Pat Casey’s squad. Oregon State Baseball’s 2014 schedule is below. 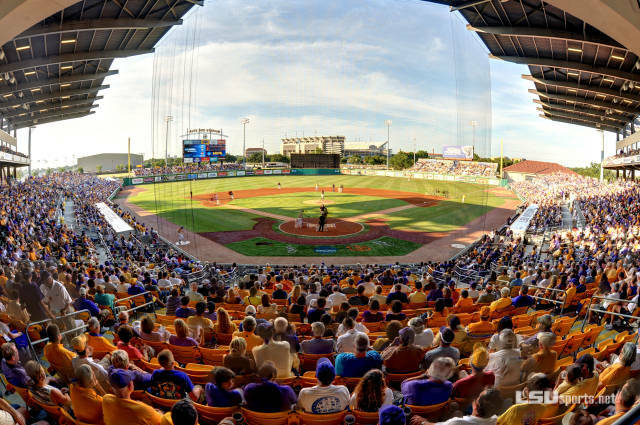 The 12th Annual Surprise College Baseball Classic is marked with a %, the annual Goodyear Tournament a #, and all SEC conference games get an *. Fri, Feb 14 Gonzaga # Tempe, AZ 4:00 p.m. Sat, Feb 15 Nebraska # Tempe, AZ 11:00 a.m.
Sun, Feb 16 Pacific# Tempe, AZ 4:00 p.m.
Mon, Feb 17 Pacific Tempe, AZ 11:00 a.m.
Fri, Feb 21 Nebraska % Surprise, AZ 1:00 p.m. Sat, Feb 22 Michigan State % Surprise, AZ` 1:00 p.m.
Sun, Feb 23 Indiana % Surprise, AZ 12:00 p.m.
Mon, Feb 24 Washington Surprise, AZ 11:00 a.m.
Fri, Feb 28 Wright State Corvallis, OR 5:35 p.m. Sat, Mar 01 Wright State Corvallis, OR 12:35 p.m.
Sun, Mar 02 Wright State Corvallis, OR 1:05 p.m.
Tue, Mar 04 Portland Corvallis, OR 5:35 p.m.
Fri, Mar 07 Northern Illinois Corvallis, OR 5:35 p.m. Sat, Mar 08 Northern Illinois Corvallis, OR 12:35 p.m.
Sun, Mar 09 Northern Illinois Corvallis, OR 1:05 p.m.
Tue, Mar 11 Ohio State Corvallis, OR 5:35 p.m.
Fri, Mar 21 Arizona State * Corvallis, OR 5:35 p.m. Sat, Mar 22 Arizona State * Corvallis, OR 1:35 p.m.
Sun, Mar 23 Arizona State * Corvallis, OR 1:05 p.m.
Tue, Mar 25 Seattle Corvallis, OR 5:35 p.m.
Tue, Apr 01 Portland at Portland, OR 3:00 p.m.
Fri, Apr 04 Stanford * Corvallis, OR 5:35 p.m. Sat, Apr 05 Stanford * Corvallis, OR 1:35 p.m.
Sun, Apr 06 Stanford * Corvallis, OR 1:05 p.m.
Mon, Apr 21 Sacramento State at Sacramento, CA 7:00 p.m.
Tue, Apr 22 Sacramento State at Sacramento, CA 1:00 p.m.
Fri, Apr 25 Oregon * Corvallis, OR 5:35 p.m. Sat, Apr 26 Oregon * Corvallis, OR 1:35 p.m.
Sun, Apr 27 Oregon * Corvallis, OR 1:05 p.m.
Tue, May 06 Oregon at Eugene, OR 6:00 p.m.
Fri, May 09 UCLA * Corvallis, OR 5:35 p.m. Sat, May 10 UCLA * Corvallis, OR 1:35 p.m.
Sun, May 11 UCLA * Corvallis, OR 1:05 p.m.
Tue, May 13 Portland Keizer, OR 5:35 p.m.
Fri, May 16 Washington * Corvallis, OR 5:35 p.m. Sat, May 17 Washington * Corvallis, OR 1:35 p.m.
Sun, May 18 Washington * Corvallis, OR 1:05 p.m.
Tue, May 20 Oregon at Eugene, OR 6:00 p.m.
Fri, May 23 USC * at Los Angeles, CA 6:00 p.m. Sat, May 24 USC * at Los Angeles, CA 2:00 p.m.
Sun, May 25 USC * at Los Angeles, CA 1:00 p.m.